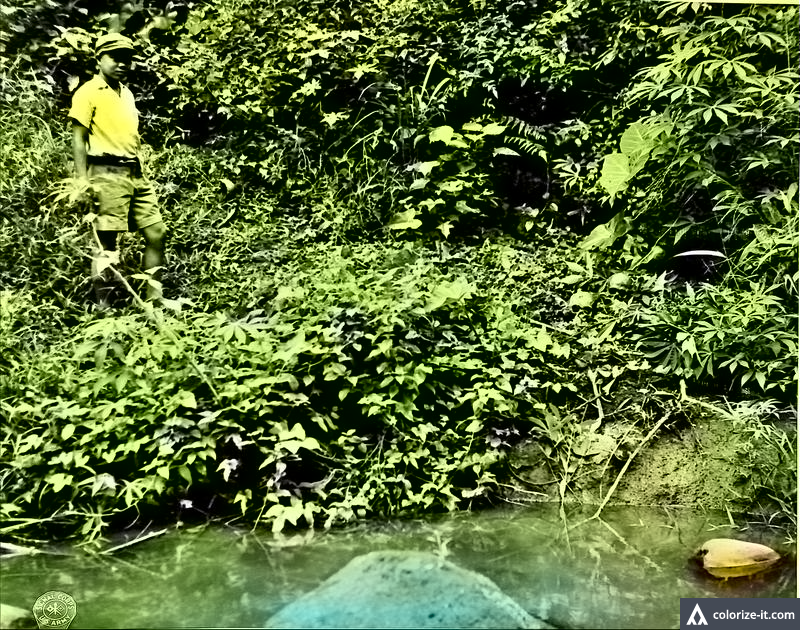 A boy looks at a massacre site in Barrio Sulok, 1945. Image source: United States National Archives. Note to the reader: “Sulac” is Barrio Sulok at the border between the Lipa City and Santo Tomas, known in the present day as Barrio Santa Cruz of Santo Tomas.